Arriving at the Arts et Métiers Metro station in Paris is like stepping in to a great brass vault created by Jules Verne. 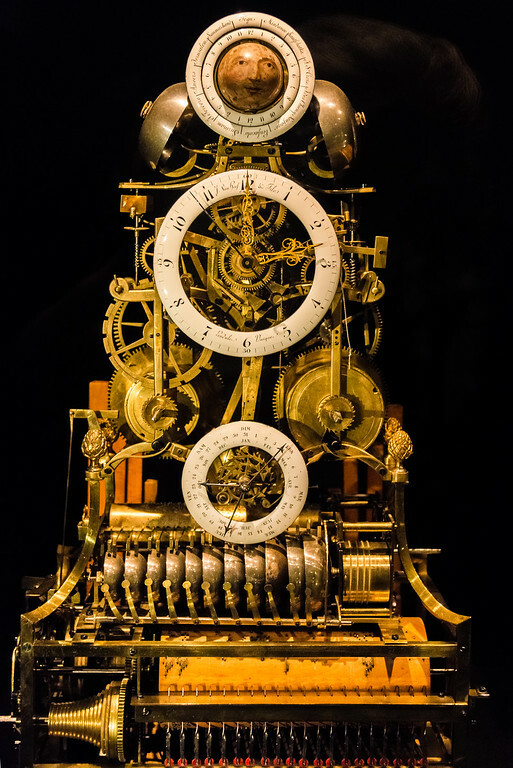 I’m a fan of Verne and of Steampunk aesthetics, of a world of odd devices of brass and copper, of gears working together to some strange result, of hand built systems with a purpose I barely grasp yet feel in awe of. This station is the arrival point for a place to experience all of that, one of my favorite places in Paris, The Musée des Arts et Métiers. 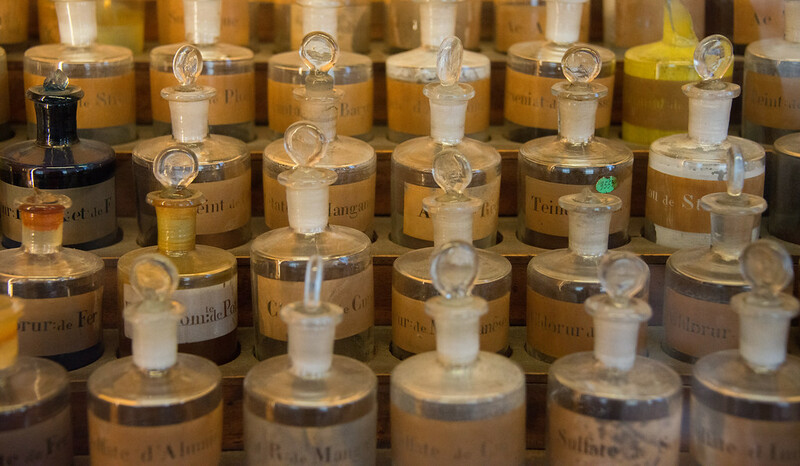 The museum houses roughly 2500 ‘new and useful scientific instruments and inventions’ from a collection started in 1794. 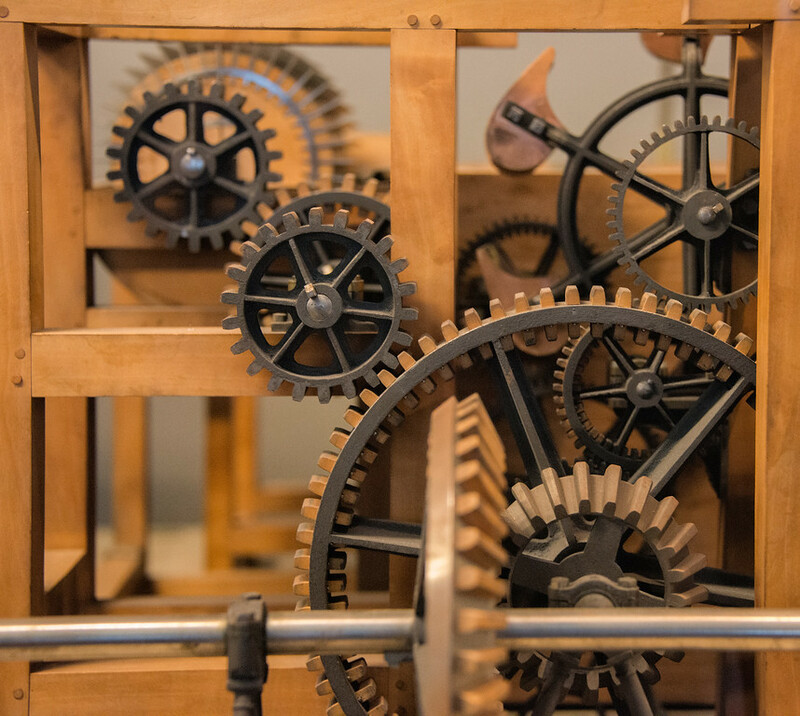 The museum has multiple floors of fascinating devices, bottles of chemicals, animatronic dolls, mechanical calculators, and vintage engines and has large sections dedicated to scientific instruments, materials, energy, mechanics, construction, communication, and transportation. 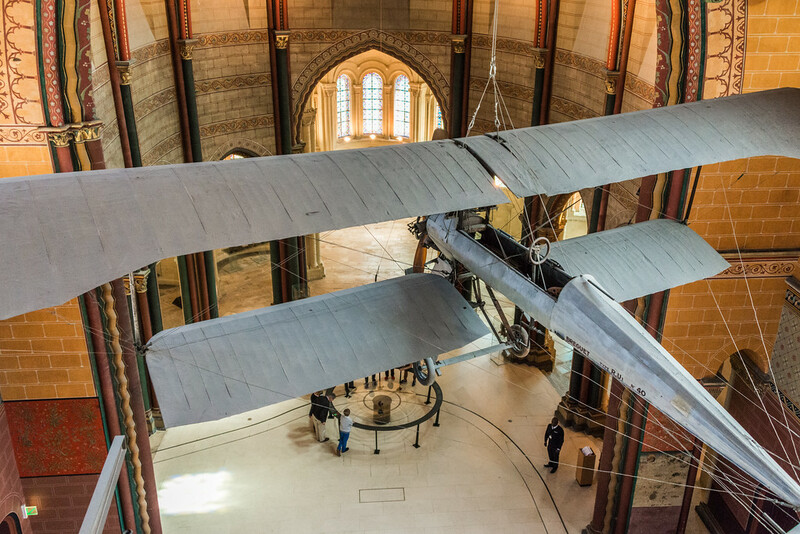 One of the first spaces to explore in the museum is the Saint-Martin-des-Champs Priory, a large repurposed church where one of the first airplanes hangs, stairways lead up towers of cars, and a Foucault pendulum swings relentlessly. If you’ve read the wonderful book Foucault’s Pendulum by Umberto Eco you’ll recognize this as the location of the book’s climax. I was lost in wonder for hours exploring this museum, feeling like I was in an older world of strange technologies. I wanted to see and understand every invention. I was in awe of the ingenuity, artistry, and skill of the people who conceived and created these things. 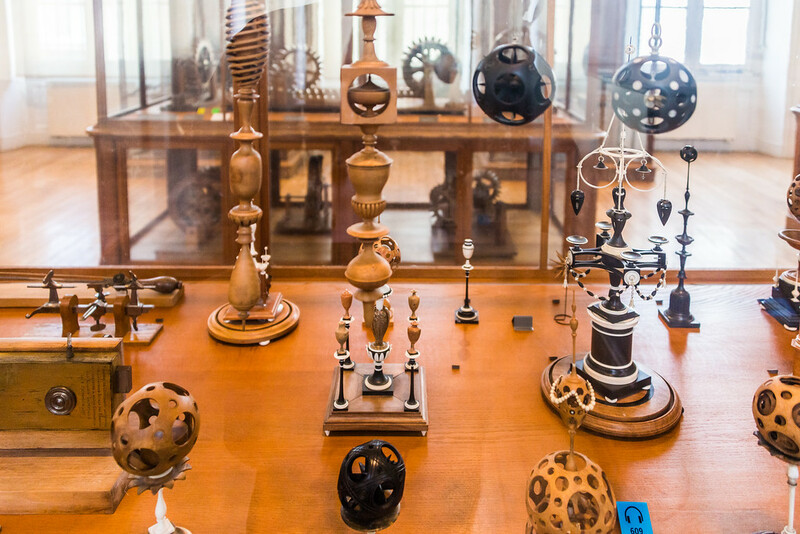 If you love mechanical devices, the history of science, or the look and feel behind Steampunk, this is the place to be. 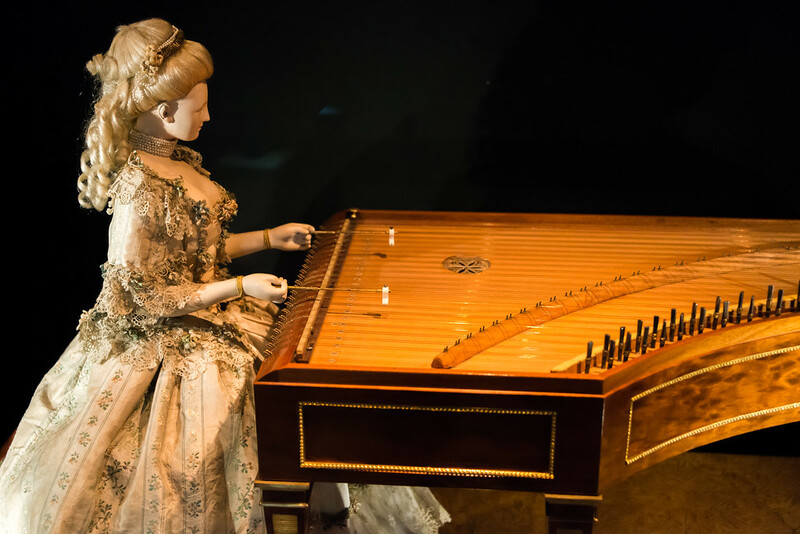 Check the Musée des Arts et Métiers Home page for location and hours.